The year 2017 was another golden one for current and former League1 Ontario players and the Canadian National Team program. 40 League1 players represented Canada at levels from U17 to Senior Men's and Women's teams in 2017 (with two players even nominated for respective U20 Player of the Year Awards). All told, a total of 54 League1 players were invited to National Team camps over the year. This marks a small drop from 2016, when 49 League1 players donned the red and white for Canada, but demonstrates an encouraging consistency of representation of Ontario-based division III level players at the national team level. At the top of the list were five players that represented Canada at Senior level. Cyle Larin (Orlando City FC/ Sigma FC) and Mark Anthony Kaye (Louisville City FC/ Toronto FC III) were ever present in the Men's National Team lineups, making appearances in friendlies against Curacao (June 13), Jamaica and El Salvador, as well as in the Gold Cup in the USA (July 4 - July 21). 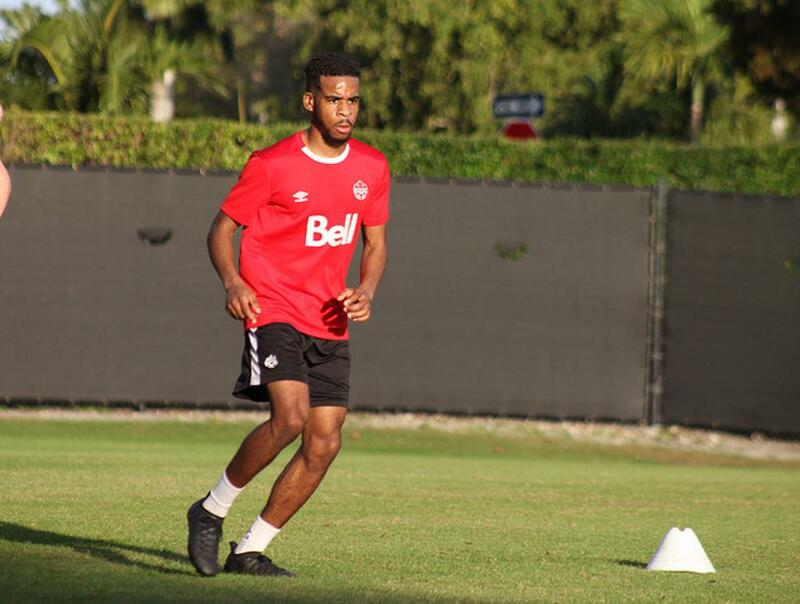 Raheem Edwards (Toronto FC/ ANB Futbol/ Internacional) also played minutes in the three friendlies, but was an unused sub in the Gold Cup. 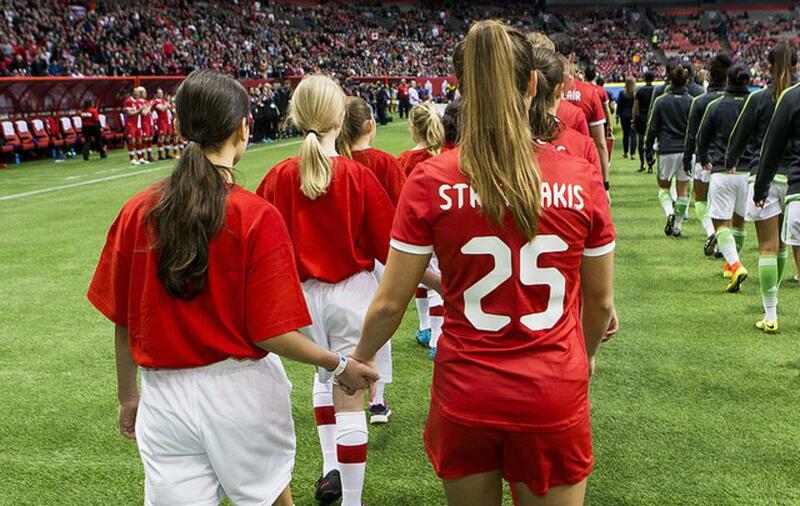 Over on the women's side, Sarah Stratigakis (Michigan/ Aurora) appeared in the CWNT's Vancouver-based 3-2 friendly victory over Mexico (Feb 4). 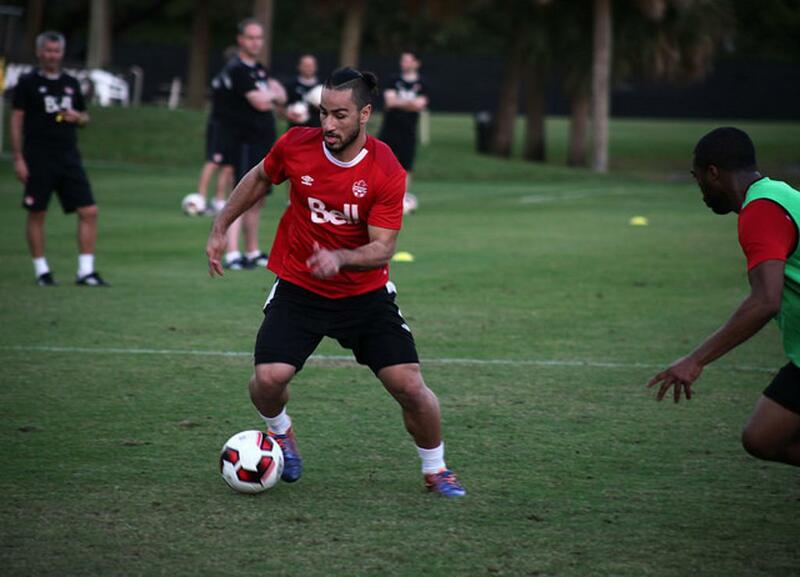 Striker Alex Lamontagne (Syracuse/ Durham United FA) joined Stratigakis on the CWNT for the Algarve Cup (Feb 26 - March 9) in Portugal in late winter/ early Spring. At U23 men's level, Kwame Awuah (New York City FC/ Sigma FC) and Mark Gonzalez (Reno 1868/ Sigma FC) joined Mark Anthony Kaye at the Qatar Tournament (March 22-29). 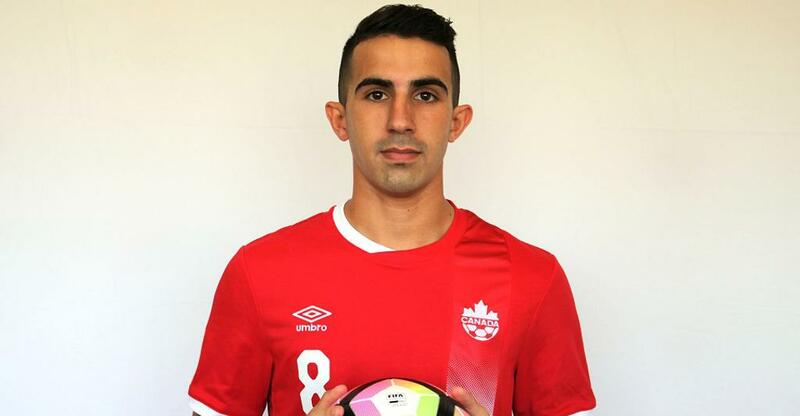 At U20 levels, two former League1 players were nominated for Player of the Year honours - Luca Uccello (Toronto FC II/ Toronto FC III) and Sarah Stratigakis. Although neither player ultimately won the award, it was a tip of the hat that acknowledges the progress both players have made at international level. All told, the U20 level was flush with League1 representation with 19 players making appearances for both the men's and women's teams. Six players - Maya Antoine (Vancouver Whitecaps/ Vaughan Azzurri); Samantha Chang (Unionville Milliken); Rylee Foster (West Virginia/ Vaughan Azzurri); Vital Kats (Kent State University/ Aurora FC); Jessica Lisi (Memphis/ Woodbridge Strikers) and Lauren Raimondo (Harvard/ Woodbridge Strikers) - joined Sarah Stratigakis in the squad for the U20 Series in Australia (June 29 - July 9). On the men's end, 12 players were involved in either/ both the International Series in Panama (Jan 17) or the CONCACAF MU20 Championship (Feb). Dante Campbell (Toronto FC II/ Toronto FC III); Aidan Daniels (Toronto FC II; Toronto FC III); Richie Ennin (Toronto FC II/ Toronto FC III); Liam Fraser (Toronto FC II/ Toronto FC III); Dayonn Harris (Penn State/ Vaughan Azzurri); Shaan Hundal (Toronto FC II/ Toronto FC III); Malik Johnson (Toronto FC II/ Toronto FC III); Kamal Miller (Syracuse University/ Vaughan Azzurri); Dayne St. Clair (University of Maryland/ Vaughan Azzurri); Tristan Borges (SC Heerenveen/ Toronto FC III); Emmanuel Zambizis (Iraklis 1908/ Vaughan Azzurri) and Luca Uccello. 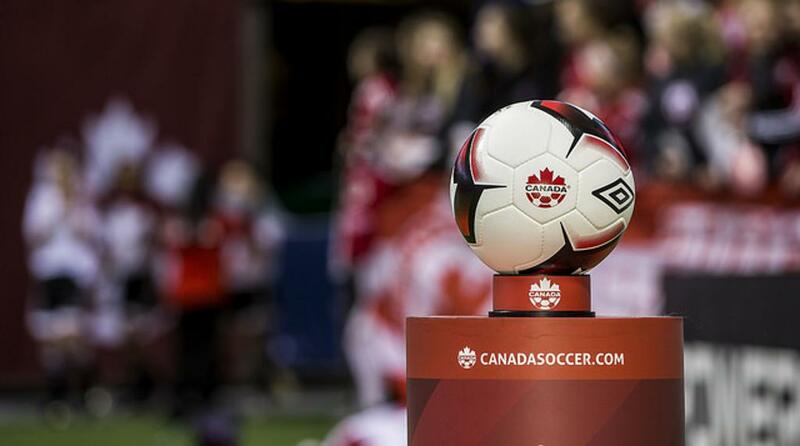 13 more players were selected by the Canada men's and women's U17 programs. Alongside Maya Antoine, Anna Karpenko (Vaughan Azzurri); Kaila Novak (FC London) and Olivia Scott (Aurora FC) made appearances at the U17 Series in China (July 6 - July 17). 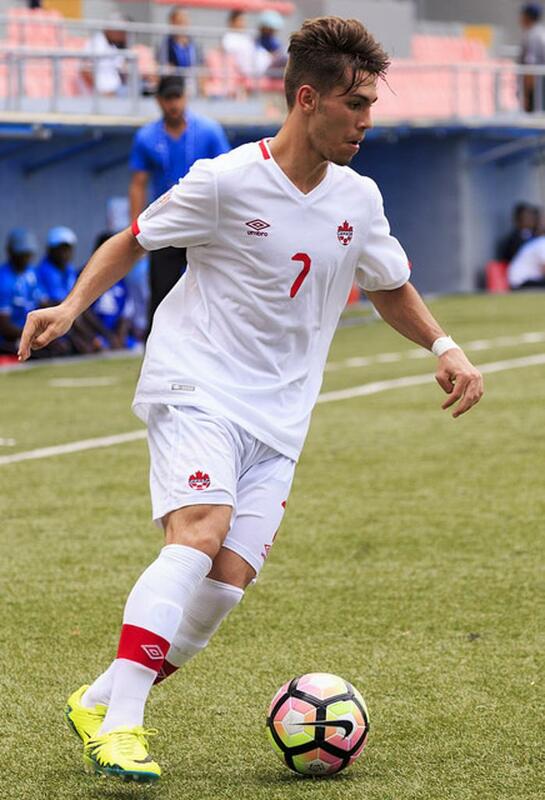 At the men's CONCACAF U17 Championship in Panama (April 15-29), League1 players' Zakaria Abdi (Toronto FC III); Gianluca Catalano (Toronto FC III); Kunle Dada-Luke (Toronto FC III); Julian Dunn-Johnson (Toronto FC II/ Toronto FC III); Jordan Faria (Toronto FC III); Terique Mohammed (Toronto FC III); Noble Okello (Toronto FC II/ Toronto FC III); Rocco Romeo (Toronto FC II/ Toronto FC III); Sebastian Sgarbossa (Toronto FC III) and Steffen Yeates (Toronto FC III) were heavily involved. 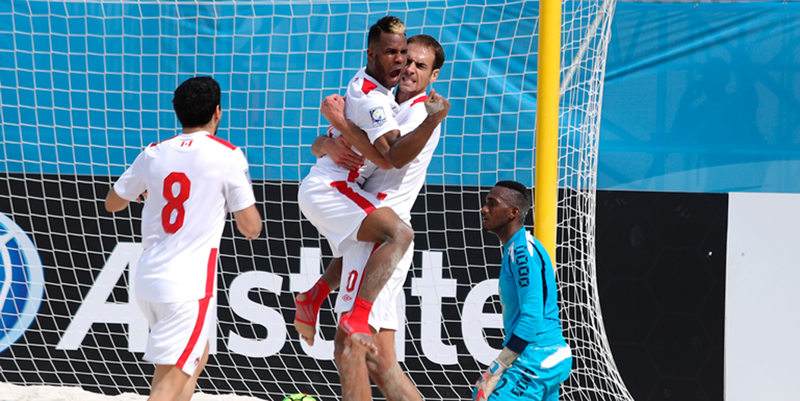 Lastly, League1 Ontario had representation at the CONCACAF Men's Beach Soccer Championship in Bahrain (Feb 17-Feb 27) as well, with Marc Jankovic (Masters FA Saints) and Jacob Orellana (Masters FA Saints/ Internacional) showing their skills at the beach variation of the game. In addition to competitive appearances, 54 players were invited into various national team camps for monitoring, ID or preparation for tournaments. Camp in Mexico (Jan 27-Feb 4): Dante Campbell; Aidan Daniels; Richie Ennin; Liam Fraser; Dayonn Harris; Shaan Hundal; Kamal Miller; Dayne St. Clair; Luca Uccello; Emmanuel Zambizis. U17 CONCACAF Prep Camp in Toronto (March 30 - April 10): Zakaria Abdi; Gianluca Catalano; Kunle Dada-Luke; Julian Dunn-Johnson; Jordan Faria; Terique Mohammed; Noble Okello; Rocco Romeo; Sebastien Sgarbossa; Steffen Yeates. EXCEL U17 Camp in Burnaby (Nov 22 - 29): Maya Antoine; Olivia Cooke; Anna Karpenko; Kaila Novak; Jade Rose.